When you’re looking to remodel or renovate your home, you may find yourself having to choose between multiple financing options like credit cards, home equity loans, and personal loans. In many cases, remodeling your home has many benefits such as increasing the value of your home. However, these improvements and renovations are costly and unless you have saved up a large amount of cash, you will need some kind of loan to finance the remodeling. Between credit cards, personal loans, and home loans, it may seem difficult to know which route to take. Whatever your situation, there is a loan that will work for you. Below, we break down the different types of home improvement loans and your best option. Those who have little home equity and a small home improvement project that can be paid off in less than seven years. You can qualify for low interest rates on personal loans with good credit. Unsecured personal loans have higher interest rates than a home equity loan or line of credit. A personal loan is a loan that can be used for any personal reason like paying off consolidated debts, funding a wedding, or home improvement. If you have good credit, you are more likely to qualify for a personal loan with good loan terms, higher amounts, and low interest rates. If you have bad credit, qualifying for a personal loan is much more difficult and receiving low interest rates is nearly impossible. Personal loan providers generally offer loans based on your creditworthiness, but many of them also look at your career, income, and education. Applications for personal loans only take a few minutes and funds are usually directly deposited into your account in one or two business days. Most personal loans are unsecured loans with fixed rates, although there are loans available that allow you to put up collateral for a lower interest rate or even give you short-term lower variable rates. Interest rates for personal loans generally range from 4% to 36%. If you have trouble qualifying for low interest rates due to your credit score, you can improve it though credit repair. We recommend personal loan services like LightStream and SoFi for competitive low interest rates and high loan amounts. If you want to shop your options, LendingTree and EVEN Financial have a large marketplace of lenders offering a variety of loan amounts, terms, and interest rates. Consumers who are looking for personal loans with interest rates under 36%. The application process for a P2P loan is fairly quick and simple. They have fixed, competitive rates and no prepayment penalties. P2P loan rates can be high if you have bad credit. Peer-to-peer (P2P) loans are personal loans that are funded by anonymous lenders through an online lending network. These online lenders make a profit by taking a cut of the repayment terms and charging an origination fee. P2P loans can range from $1,000 to $40,000 and usually have loan terms ranging from one to five years. Depending on the lender, loan rates can vary greatly, although most rates are capped at 36%. All loans are funded anonymously, which guarantees that you won’t receive any phone calls or emails from your lenders. We recommend reputable lending services like Prosper and LendingClub to fund your P2P loans. Consumers who don’t qualify for a personal loan and are looking for a lower interest rate. The application process is simple since there is no appraisal or home equity required. With bad credit, you may wind up with high interest rates and loan amounts that are lower than what you need. This line of credit can be unsecured or secured with collateral like your home and automobile. Secured lines of credit generally have lower lines of credit. For an unsecured line of credit, lenders check your creditworthiness, income, and employment. Personal lines of credit are similar to credit cards in the sense that they let you borrow only what you need whenever you need it. Credit lines have variable interest rates that can change over time and be applied to your balance. These rates increase greatly over time, so be wary of your term length since the loan may become difficult to repay. Consumers who want to take a personal loan with low interest rates, even if they don’t have good credit. Federal credit unions do not allow APRs to go over 18%. Borrowers may not qualify for a high enough amount if they have bad credit. If your credit is less than stellar, a local trusted credit union may be the best option for a personal loan. These loans have much lower interest rates than online lenders. Consumers with excellent credit who need to fund a small project. Qualifying for a 0% interest credit card allows you to be interest-free for a set period of time, usually 12 to 18 months. The interest rates for temporary 0% credit cards can increase your debt exponentially if you don’t pay it off in time, which can seriously damage your credit score. Because of their high interest rates, credit cards can wind up costing you much more in the long run. These rates can range between 16.7% to 22.99% of your total balance, meaning that your total payment amount can increase greatly if you don’t pay off your balance within the monthly billing period. If you only need to fund a small project and you can qualify for a 0% APR credit card for a temporary period (usually around 12 to 18 months), credit cards are worth looking into if you are sure you can pay off the full balance before the 0% period is over. Borrowers with large home equity. You receive larger loan amounts and fixed interest rates. These loans have higher interest rates than no cash-out refinancing and primary refinances. Closing costs can go into the thousands. The application process can be time-consuming and requires a good amount of documentation. Cash-out refinancing is one of the most common ways to pay for a home improvement project. This allows you to refinance your current mortgage for more than your current outstanding balance and then use the difference to fund your home improvement project. Your new loan may even have lower monthly payments and interest rates. Interest rates for cash-out refinancing are usually tax-deductible and vary by the loan amount, lender, and home equity. Conventional cash-out refinancing allows you to use a large amount of cash for large home renovations if you have large home equity. These loans are based on your LTV and require an 80% loan-to-value ratio (the loan amount compared with your home’s market value). If you lack home equity or don’t have a high enough credit score, it can be incredibly difficult to qualify for the amount you need. Most lenders look for a minimum credit score of 640, although some loans are available for those with a credit score of 620. If you qualify with a lower credit score, you will pay much more in interest rates. Consumers who need federal programs for home renovations. Homeowners can receive financing for Energy Efficient Mortgage programs. Qualifying for these programs and receiving low rates depend on your creditworthiness. There are federal programs that assist consumers with home renovations. The FHA (Federal Housing Administration) has two programs: Energy Efficient Mortgages and Title I loans. The Energy Efficient Mortgage program allows consumers to finance a portion of energy efficiency improvements that include wall insulation and solar panel roofing. Title I loans allow the Department of Housing and Urban Development (HUD) to authorize lenders in every state to fund home renovation loans. These interest rates are based on your credit history and current market rates. The Department of Housing and Urban Development should have lenders listed for your state under the category Title I Home Improvement. Consumers who are looking for longer repayment terms. These loans are approved much more quickly than cash-out refinances. Closing costs can be lower than cash-out refinancing. Interest rates can be higher than cash-out refinances. Loan amounts are usually small. Without a high credit score, the interest rates for home equity loans and HELOCs can be high. You can lose your home if you don’t repay your loan. Home equity loans are fixed-rate personal loans secured by your home. These loans allow you to borrow up to 80% of your home’s market value minus the amount owed on your mortgage. Although they tend to have higher interest rates and smaller loan amounts, they also have lower closing costs and repayment terms up to 20 years. These loans are provided in a lump sum and paid off in monthly installments, usually with fixed rates. Consult a tax consultant to see if your home equity loan interest payments are tax deductible. Consumers who need to access funds regularly. You can use as much as you need whenever you need it. You receive low monthly payments during the borrowing period. These loans have low closing costs. Variable rates may rise depending on the Federal Reserve’s prime rate. The monthly payments can become incredibly high during the repayment period. You may use too much of your available credit and hurt your credit score. HELOCs (Home Equity Lines of Credit) are revolving lines of credit with variable rates. Like credit cards, you can use the amount needed whenever you need it and you can pay it off either in full or pay the minimum amount to cover the interest due. However, the HELOC draw period ends (usually after 10 years) and the repayment period begins with the loan becoming amortized. Your payment amount is your borrowed amount plus interest. You can contact a tax consultant to determine whether your interest payments are tax deductible. Homeowners who have large investment portfolios. You can receive a large revolving line of credit. The monthly repayment amount can be large because of added interest. Consumers can receive a line of credit if they have investment portfolios of $200,000 or greater. This loan is similar to a HELOC or credit card since you receive a revolving line of credit. Your credit line depends on your investment types and amounts. Consumers with lower credit scores and higher debt-to-income ratios. Homeowners can qualify for this loan even with a credit score as low as 580. This loan has fixed interest rates. You may be able to change your loan terms in the long run, such as lowering your interest rate or converting a 30-year fixed rate to a 15-year fixed rate loan. You can borrow more funds because of the 85% maximum LTV. You will get a fee of 1.75% of the loan amount. FHA cash-out refinances are backed by the Federal Housing Administration (FHA) to reduce loan risk to lenders. This allows homeowners with higher debt-to-income ratio and lower credit scores qualify for the loan they need. Veterans and current service members. You can receive your funds quickly. These loans have fixed interest rates. These loans have higher rates than another VA-backed mortgage refinances. VA cash-out refinances are loans available to eligible servicepersons and veterans which can be used to refinance both VA and non-VA backed loans. These loans can finance up to 100% of your home’s value. To qualify, you must have a property appraisal, income verification, and establish your eligibility based on your military service. Consumers who have a home in an ideal location but need major renovations. This loan is an affordable option. There is no home equity needed. Consumers with bad credit have a chance at qualifying for a loan with a credit score as low as 580. Applying for the loan is time-consuming and requires paperwork from the borrower and contractors. These homes are not eligible for flipping by investors. Because this is a home improvement loan, you may be required to perform additional renovations to make sure you meet all health, safety, and building codes. An FHA home improvement loan is also known as the 203k loan. This loan can be used for either home purchasing, refinancing, or home improvements. The loan amount can go as high as 97.75% of the home’s future value and the minimum down payment is only 3.5%. Because qualifying for an FHA home improvement loan has lax guidelines, there are strict rules for the types of property that qualify. For example, your home must be your primary residence and you cannot have anything that the FHA deems a luxury. Consumers who want long-term loans for medium-sized projects. There are no minimum credit score or income requirements set by the Department of Housing and Urban Development, so you can qualify even with bad credit. There is no home equity required for these loans. Your loan amount is relatively small and is capped at $25,000. This loan allows you to borrow up to $25,000 for home renovations. Loans under $7,500 are generally unsecured while anything larger requires you to use your home as collateral. You must own the home or have a long-term lease. The house must have been built and occupied for a minimum of 90 days. The loan must be verified to be used for specific home improvements. You must have a debt-to-income ratio of 45% or less. There are no adjustable-rate loans available so you will either have fixed or variable rates through your entire loan term, which can last up to 20 years. Borrowers who are looking for state and local loan programs that assist them with specific purposes like improving energy efficiency or financing home purchases. There are multiple different types of loans to choose from that can be found through a quick Google search. If you live in a state without many options, finding funding may be difficult. Aside from federal programs, loan programs can be offered by state or local services, including in counties and municipalities. Borrowers who can find trusted contractors. Your contractor helps you find financing, which cuts down all the steps you need for renovating your home. Terms and rates vary greatly and depend on your lender. Around 42% of general contractors offer financing options, while others can assist you in finding a loan from a third party. You can check reviews for loans provided by your contractor and lender through the Better Business Bureau or state’s consumer affairs office. You can also compare your loan offers with what you would receive for other lenders, banks, and credit unions. Consumers who have a retirement account and no other means to borrow. You can receive quick access to funds. There are tax penalties for withdrawing these funds. Not all 401(k) plans allow you to borrow money. We don’t recommend using this method unless it is for a last-ditch effort to fund your renovations. Borrowing from your 401(k) has a 10% penalty on early withdrawals and severe tax consequences if the money is not repaid. Using your 401(k) allows you to receive your funds quickly and pay them back at low interest rates, which ends up being contributed to your plan in the long run. These loans have to be repaid in five years, up to 60 payments, or within 60 days of leaving your employer. Time: If your improvement project is time-sensitive, you may want to avoid loans like the 203K, which includes a lot of paperwork and takes time to process. The amount you need to fund your project: Consider the amount of money you will need to finance your renovation. If you need a large amount of cash, a Title 1 loan may not be your best option since it is capped at $25,000 for single-family homes. If you simply want to add funds without refinancing, you can consider the FHA 203k loan. Your credit score: If you have a good or excellent credit score, you could qualify for a large personal loan that could go as high as $100,000. If you have poor credit, you will have options but the interest rates will be so high that taking out a loan will not be worth the repayment amount. You may want to opt for an FHA Title 1 loan, which does not have a minimum credit score requirement or another government-backed loan. With a low credit score and little home equity, you will probably have to put up collateral to take out a secured loan without high-interest rates. 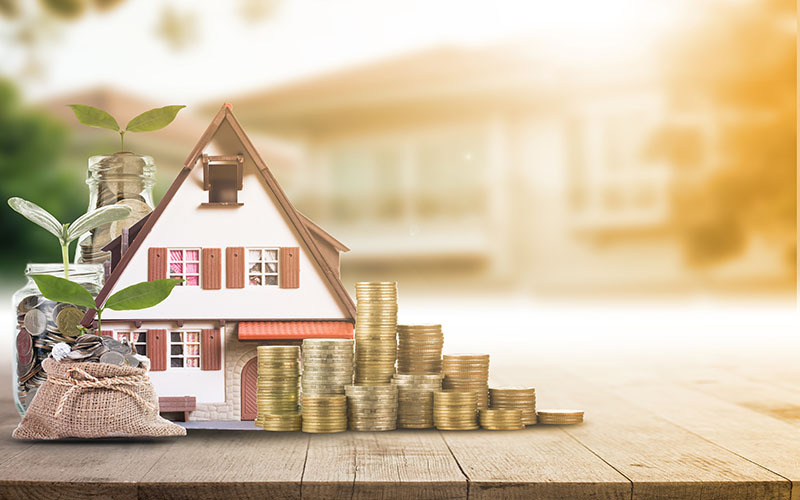 Home equity: Cash-out refinancing is a great option if you have large home equity and a high-interest rate on your first mortgage since refinancing can lower your interest rate and help you fund your renovation. If you have a good interest rate on your mortgage and have good equity, consider applying for a HELOC or home equity loan. If you have little equity, you may want to opt for an FHA Title 1 loan, FHA 203K loan, or a personal loan. Energy efficiency: There are federal programs that allow consumers to finance energy improvement features in their home. Veterans can consider a VA Energy Efficient Mortgage. Check your rates: No matter what quote you receive from a bank, credit union, or other lenders, be sure to research the current terms, fees, and rates with other loans. If you choose a loan with variable rates, compare the rates to the Federal Reserve hikes and check that they won’t be raised too much if you chose a long loan term.